And I’m back in Canada! This first month back has been very busy. The courses I am taking this semester have turned out to be more difficult than those I took last semester. I’ve come to realise that my mood is drastically effected by the absence of sunshine. As a result, I’ll probably become one of those tanned but wrinkly pensioners who retire in Florida, wear visors and play bridge. I really miss the sun during winter and January is especially hard. Amazingly, this weekend was gloriously sunny and surprisingly warm (19 degrees!) so I caught a bus to Seville to make the most of the weather. 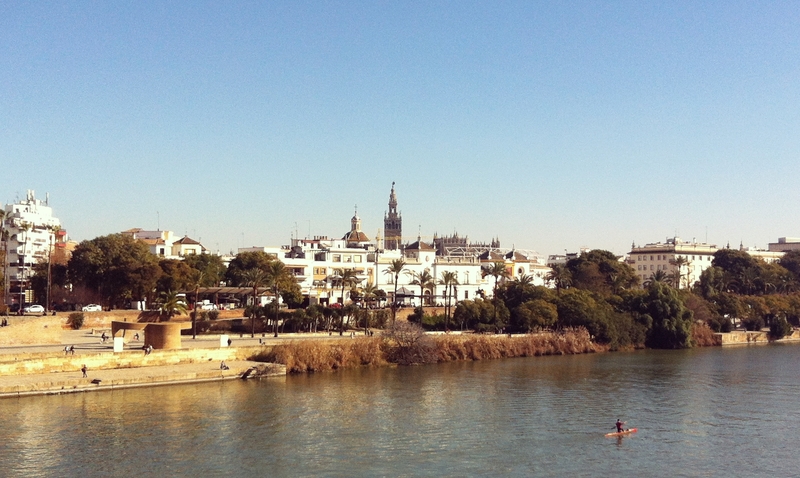 I’ve been to Seville a few times now so for this visit I decided to hop across the river to Triana.